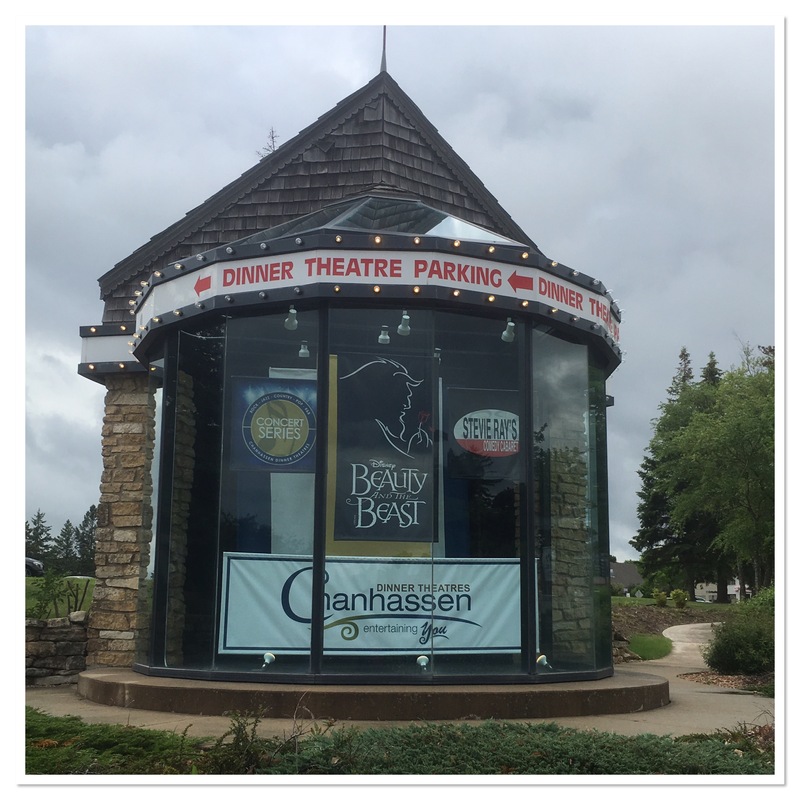 We are a Disney loving family, so when I saw the Chanhassen Dinner Theater was going to be performing Beauty and the Beast I had to buy tickets. 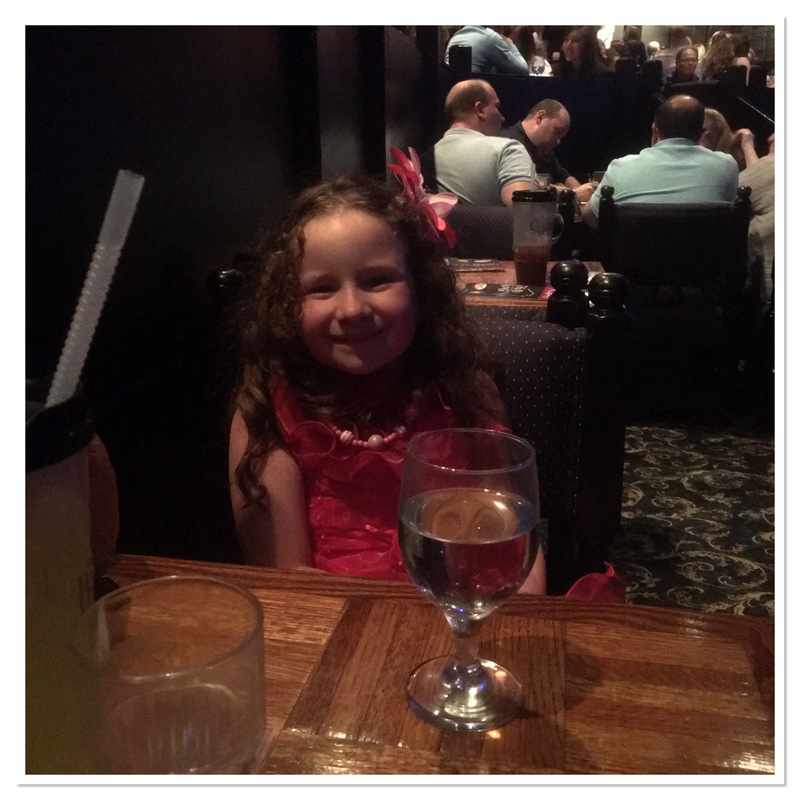 Some may think I’m crazy for taking a child to a dinner theater but I think it’s some of the best money I’ve ever spent. Plus, I’ll let you in on a secret, join their mailing list. They send out offers with discounts for every show! We don’t see every show at the Chanhassen Dinner Theatre. I am pretty particular about which shows we get tickets too. 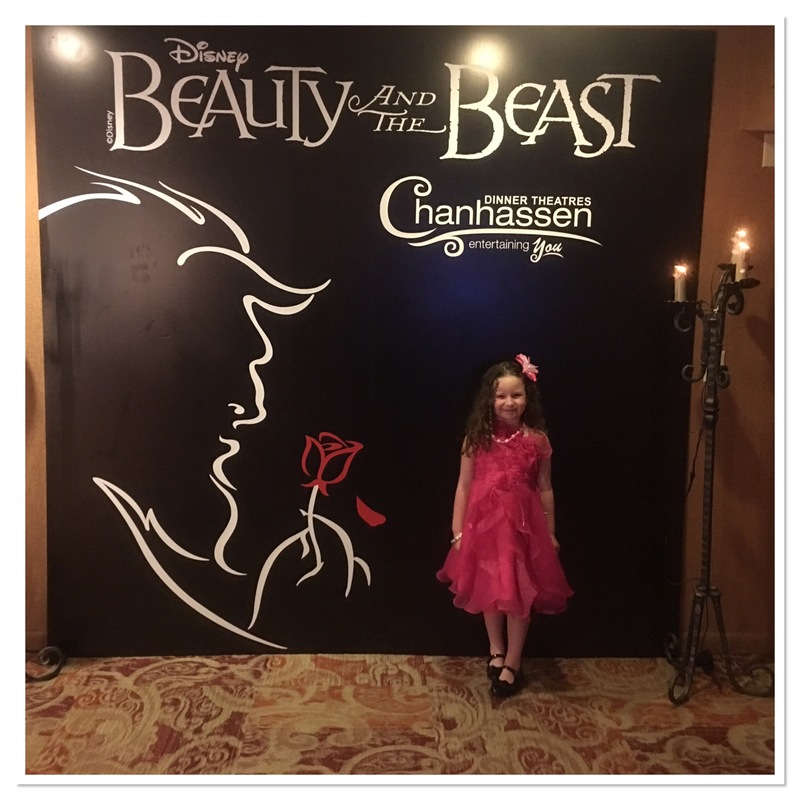 But when something as special as Beauty and the Beast is performed I look for deals and find a special milestone in my daughter’s life we can celebrate with the show. For us, we celebrated graduating kindergarten with tickets to the show. I get asked a lot if the food is good at the Chanhassen, it is. I find the service to be good and the food tasty. I think when first timers attend they are not sure what to expect. If something is not included in your ticket price it’s clearly labeled on the menu. With your ticket, you get a choice from a selected list of entrees and beverage. 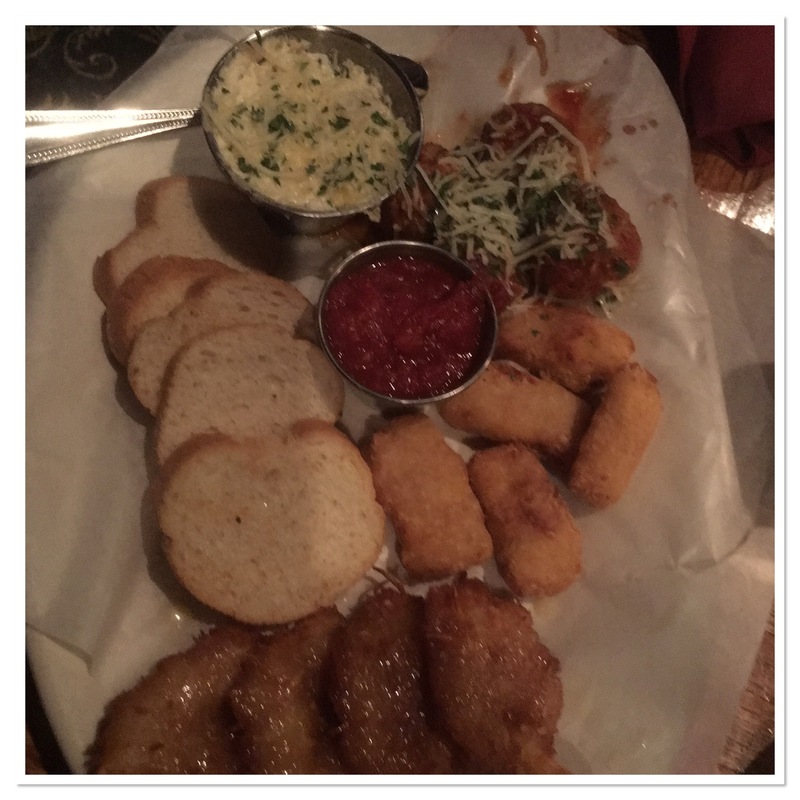 We did a little splurging since it was Peyton’s big celebration and ordered an appetizer. Dinner starts about an hour to hour and half before the show. I like to get there when it first open so we can look around, buy a souvenir and enjoy our meal without a rush. The Chanhassen sampler was a little of everything. Peyton devoured the meatballs, so I’m assuming they were very good! I really enjoyed the shrimp. We both liked the mozzarella sticks and artichoke dip. It was a nice way to start the meal. 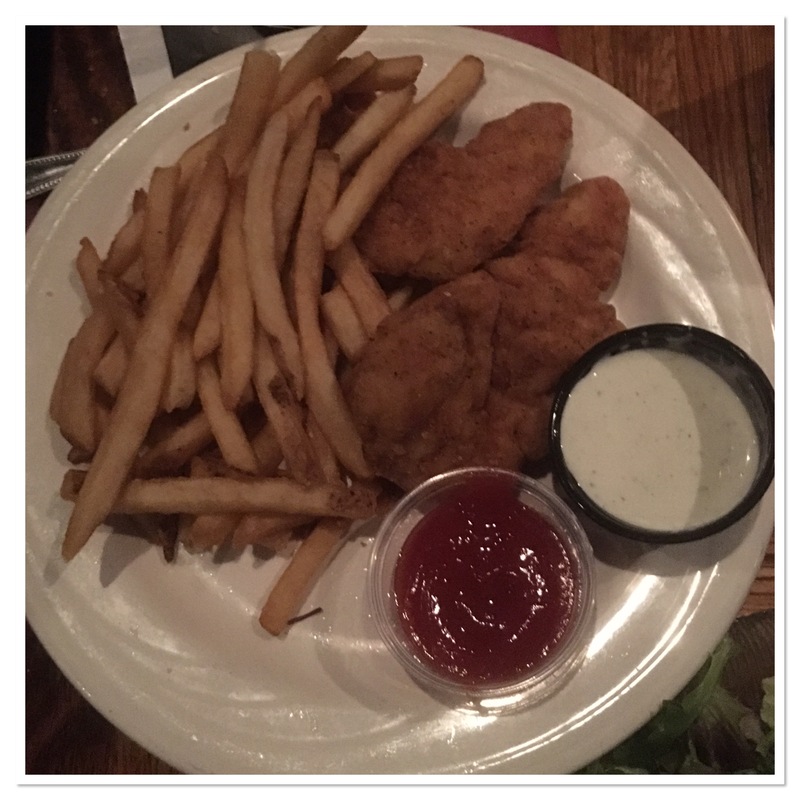 They do not have a children’s menu but they do offer chicken strips on the menu and sometimes they even have macaroni and cheese, you just have to ask. Peyton decided to go with the chicken strips and fries. The chicken was moist and lightly breaded. They also added a side of ranch dressing and ketchup. 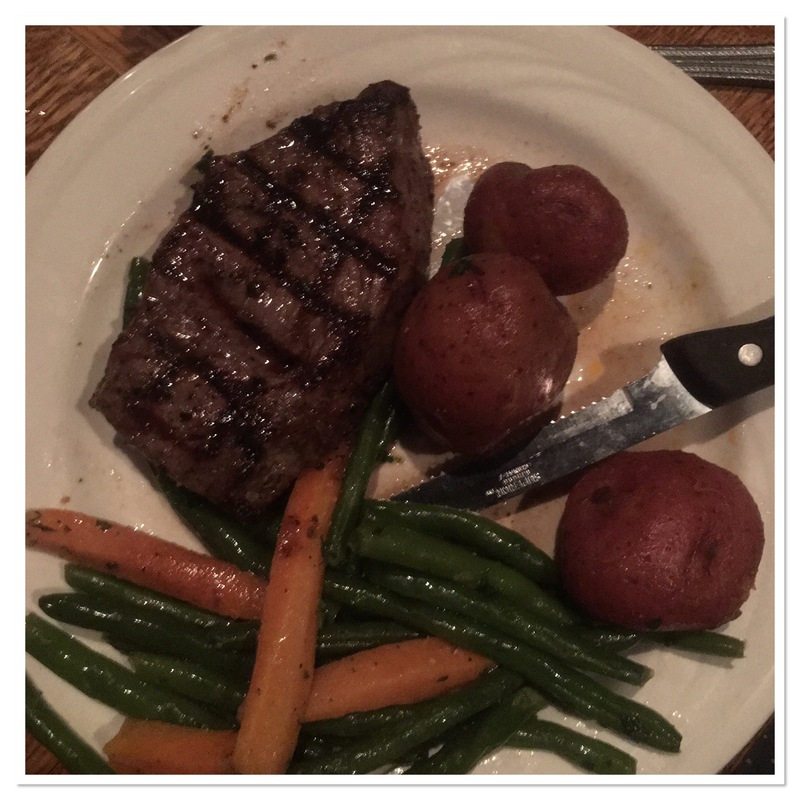 I ordered the steak. This is an option without an upcharge. It was seasoned well, done perfectly and the vegetables were scrumptious. We were both stuffed by the time dinner was done. If you are looking for a way to remember your visit purchase the sipper. It always themed for the show plus they will refill it. Another bonus, there is no service during the show so with this large sipper you never run out! Peyton was having a blast so far. Our seats were right next to the stage, front row center. But now that we’ve been a few times I think the third-row booths are really the best seats in the house. Both times we have attended the performance has moved off stage and into the aisles. Being in the third row lets you see it all while being in the front row makes it difficult to see when they perform off stage. The first half of show went by quickly. They did all the classic songs and Peyton was singing right along with them. The casting was superb. Gaston was perfect! Every villainy sneer or smirk was executed flawlessly. Bell was the perfect balance of grace, strength and beauty. The Chanhassen stayed true to Disney’s storyline and did not mess with it. Before we knew it, it was intermission. During intermission they have an option to enjoy dessert. This is not included in your tickets price but is worth it. The desserts are huge so I would say you could easily share between two people if not three. 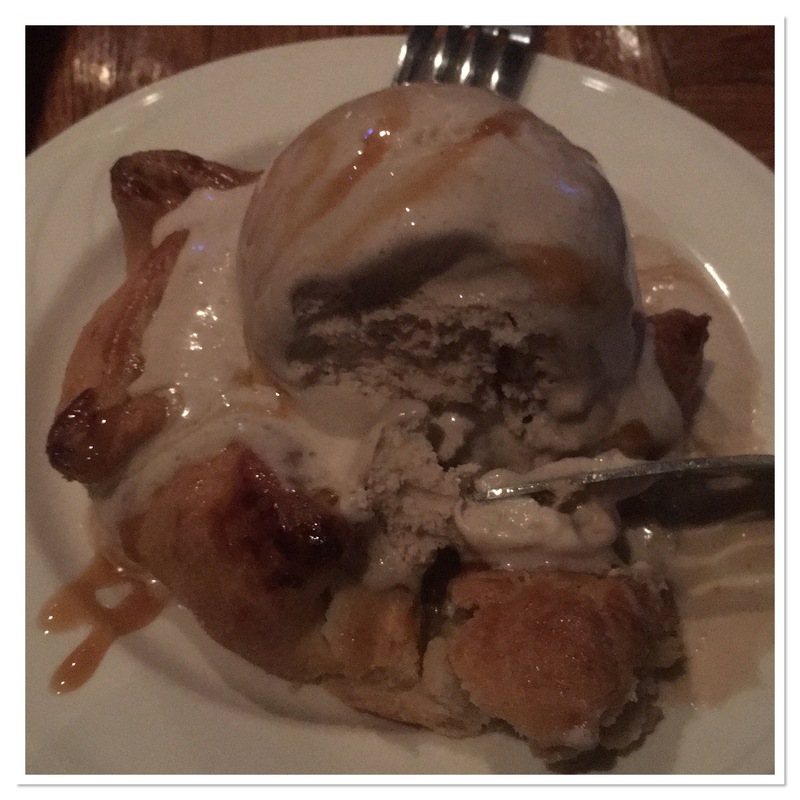 I ordered the apple pie with cinnamon ice cream and Peyton had a sundae. Neither one of finished our treats. This is a good time to use the restroom but expect a line as everyone else is doing the same. The second half of the show was just as wonderful as the first. Cogsworth and Lumiere demonstrated the same rivalry and characteristics that we loved from the movie. I was a little concerned how Peyton was going to respond with being in the front row when the beast came out, but she did fine. At first, he was a little intense and scary but after a few minutes she warmed up and went back to her seat to enjoy the show. Look ahead at the menu and make sure there is something your child will eat. If not, call them. 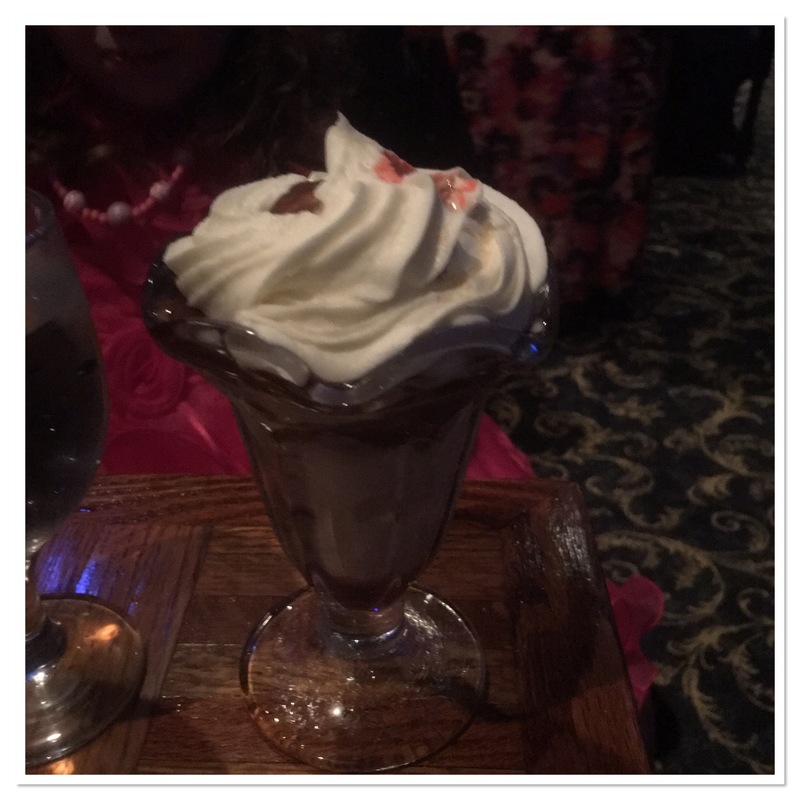 The Chanhassen is wonderful at making sure everyone has a spectacular experience. You can also buy tickets for just the show without dinner if 6 hours at the Chanhassen is too much for your little one. I hope this helps you decide if an evening at the Chanhassen is a fit for you and your family. We love it. Over the years, I’ve noticed they do one kid friendly show a year. This year it was Beauty and the Beast, last year Marry Poppins. I can’t wait to see what they do in 2017!